Today I attended the Teacher Summit & P-12 Leadership Forum in College Station, TX (home of Texas A&M University). The focus was on how to integrate aspects of engineering into the curriculum, mainly in high school classes, but with a potential partnership with the University of Texas on an NSF grant on engineering design, this conference was a good spot for me to be, even if I was the only middle school person there. Pictured is a 3D printer which now costs around $1500. 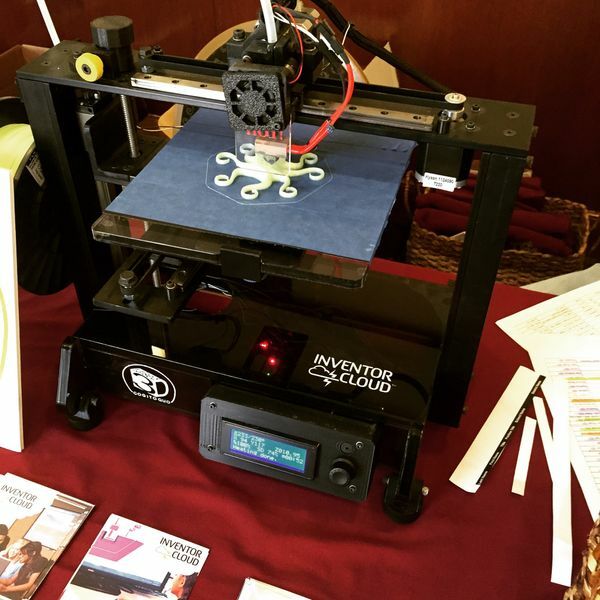 A&M engineering students were showing how easy it was to design and create objects with these printers. Costs have come way down and it's now affordable for most schools to have their own 3D printers. Pretty cool!